Google has transformed how we as human beings interact with the world wide web. Imagine your life without that nifty search engine giving you most of your invaluable information? To me, Google is more than a search engine; it’s an entity that has a vast amount of power and knowledge. I forgot how much I really relied on Google. Every time I browse the web I am either going to Google or Yahoo. The reason for Yahoo! is because they have great news updates in my opinion! As I browsed Google’s large database looking for new things to incorporate into my life, I stumbled up Google +, and no I didn’t go to Stumble-up (ha). I tried to join but was unable to! Why is that you say? Well when I joined, you had to be invited much like Facebook was in the day! Someone in the world had to personally invite you to join the network. Google+ doesn’t have a network, they have circles. Not many people have this cool little social networking site but like Facebook, it will pick up when people realize just how cool it is! Facebook is great, if you’re in high school, or a curious parent. But other than that, I really don’t like using Facebook because of all the really young people that happen to be on it. You don’t need to be the appropriate age to have a Facebook account and children take advantage of that. That’s where Google+ comes in! It is still pretty exclusive and if you would like to join, I will gladly refer you! Facebook will turn into that thing children use in the future. How long that may be is not something I’m sure of yet. 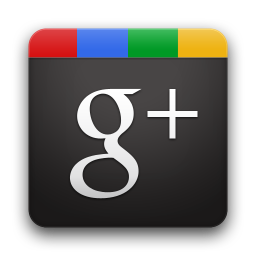 But trust me, you will notice more and more people transitioning from Facebook, to Google+! I want to know what you think about social networking. How has our addiction to this vast network of friends and people alike transformed us? Is social networking hurting us in any way? That is a touchy topic to say at least! Many will argue that social networking is in fact hurting us simply because of the privacy aspect. People will put something on their Facebook, Myspace, or Blog that they wouldn’t ordinarily anywhere else! Could that become a problem for the future? Think about this scenario; you’re running for office 15 or 20 years from now. And one of your opponents pulls something from his or her bag of tricks! An article, post, photo, or video of you doing something you wish you hadn’t. Can you see the problem there? But how can you tell what you’re going to do years from now? The simple fact is, you can’t. We have to make the proper choices for our future when we as a young generation are thrust into this cyber network full of opportunities. That’s just something I’ve been really wanting to say for a while. Anyways, I hope that all of you found this blog post helpful. As always, thanks for reading and please keep following me! Leave a comment on this subject down below!